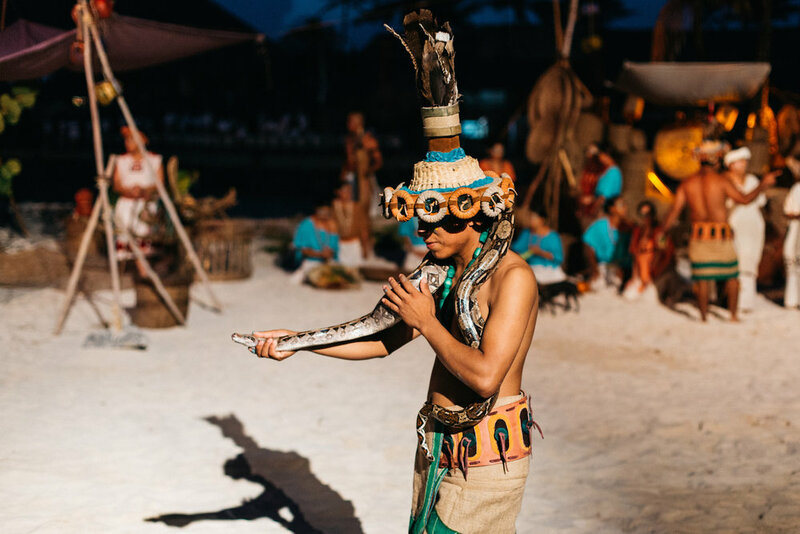 It takes much more than just blood, sweat and tears to resurrect an ancient pre-Hispanic ritual – as the team behind the Riviera Maya’s annual Travesía Sagrada Maya “Corazón de Guía” will tell you. 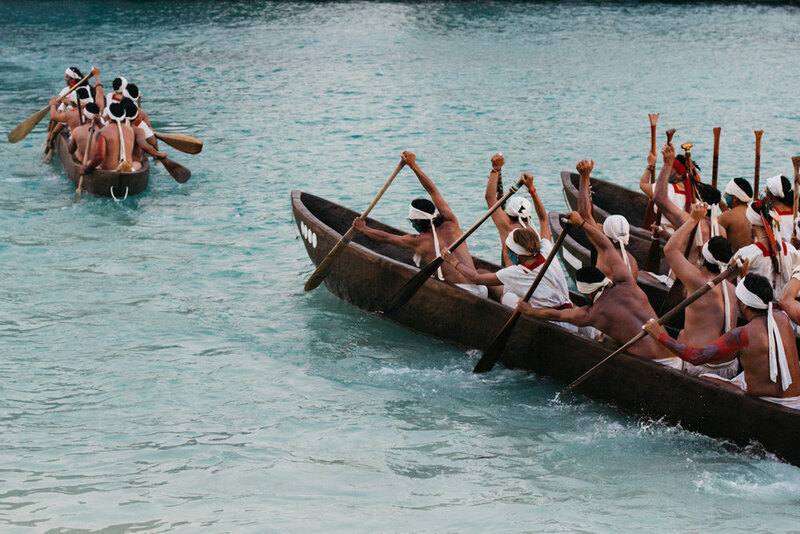 On May 20th, 350 canoers crossed over from Xcaret Park to the island of Cozumel, in a re-enactment of an ancient pre-Hispanic pilgrimage to pay tribute to the Mayan moon goddess Ixchel. Forged from more than 1,000 years of history, centred on the revival of an ancient culture, and encompassing enough suspense to have even the most jaded observer on the edge of their seat throughout – this undertaking is unlike any other. In fact, there are few events in the world, if any, that can genuinely boast all the above and offer picture-perfect Caribbean scenery to boot, but the Travesía Sagrada Maya “Corazón de Guía” is undoubtedly one of them – and certainly not to be missed if you happen to be in the Riviera Maya region. It’s been more than 500 years since this particular ancient ritual had been practised – until resurrected by the owners of Xcaret Park exactly 10 years ago to preserve the culture and highlight the historical richness which makes this particular part of the country so special – and therein lies the rare and absolute beauty of this particular event. 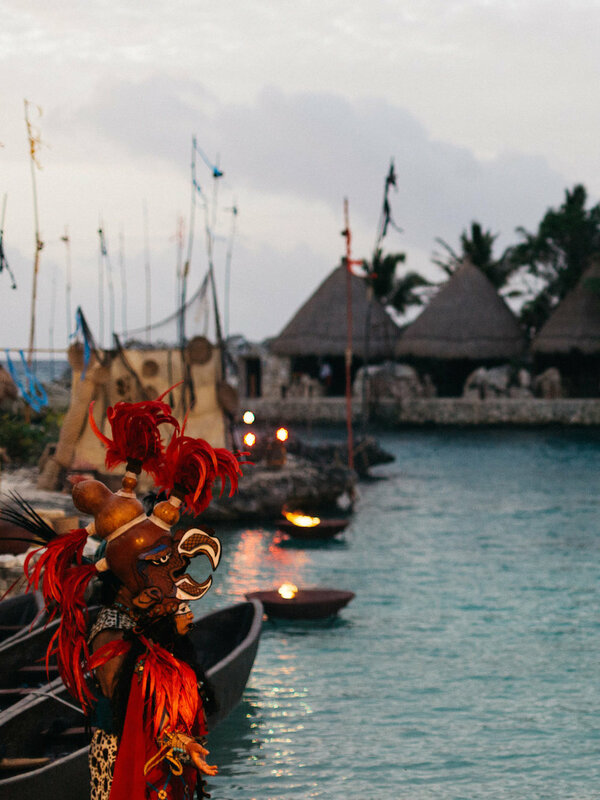 It’s the furthest thing from a futuristic experience, but paradoxically – from the moment we step off the bus at Xcaret Park, it’s fair to say that it’s probably the closest most people will get to travelling back in time. It begins as the sun rises against the idyllic background, all eyes turning to the makeshift Mayan village that has been constructed on the sand as the main stage for the event as locals clad in traditional Mayan tribal gear emerge – a kaleidoscope of feathered headdresses, painted bodies, coloured beads and bare feet – at their sides, traditional Mayan pets including brightly-coloured parrots and Mexican hairless dogs, known as xoloizcuintli. The scene that unfolds is mesmerising to say the least, and – once the re-enactment of the ceremonial ritual is over – the canoers arrive and make their way to their vessels, each swathed in simple Mayan gear, faces streaked in bright battle paint and paddles in hand. The crowd erupts into cheers and, after an ancestral blessing, these modern-day warriors heave off the shore to commence the arduous voyage across the sea. Each of them has made many incredible sacrifices to arrive at this moment – after six months of dawn training sessions, it is only these select 350, cut down from 1,000 and split into teams representing five different districts from the region – Cancun, Puerto Morelos, Xcaret, Xel Ha and Cozumel – who set sail from Xcaret. They know full well not all will make it to the other side – many will either give up or give in to both physical and mental exhaustion – for it’s not only physical strength which will get them to the other side, but also hardy mental endurance and teamwork which is key to a successful crossing, as two of the participants tell us later that day. Almost 11 long hours pass until the last of the canoers pull into the landing bay at Chankanaab Park in Cozumel where we’re waiting, and their exhausted expressions, sunburnt bodies and tears of joy as they reach their friends and family waiting anxiously at the shore say more than most of them can immediately after the journey. Battered by the wind, waves and sun – their relief at once again arriving on dry land is visibly clear. 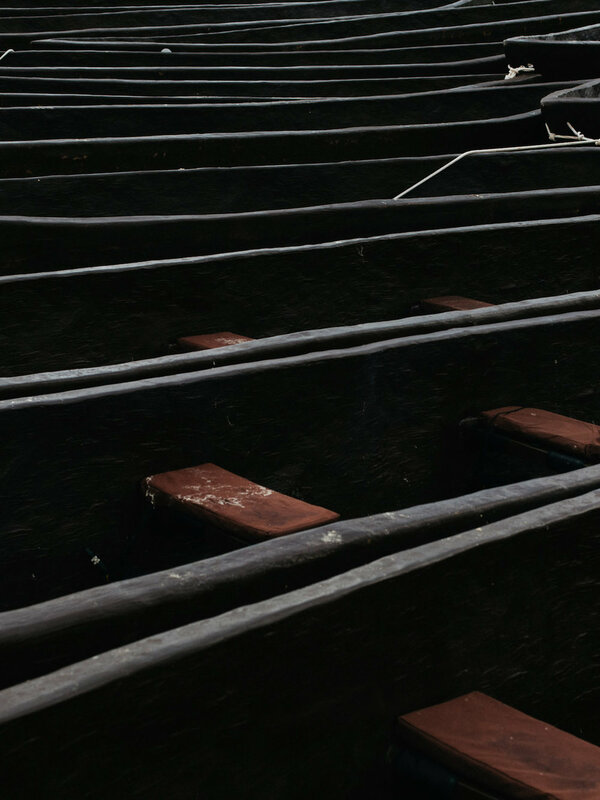 As I watch the last of the canoers row in, one woman in particular catches my eye – brazenly standing at the bow of the canoe directing her team to steer into port, clothed in a white dress with red lining, long silver hair sweeping across her face, she cuts a bold and inspiring figure who we later come to know as 65-year-old Maria Beatriz Ramirez – or ‘Beti’ – as she’s fondly referred to by her fellow teammates. The oldest female to have made the final cut, both this year and the last, Beti tells us she celebrated her 65th birthday just days before the Travesía Sagrada and – because 65 is the official age limit for participation – this voyage will be her last of this kind. Somehow, even after an 11-hour ordeal, she still seems to have an incredible vitality to her, despite her age and the exhausting crossing she’s just completed when we chat – an enviable characteristic her fellow teammates can attest to. “She’s just an inspiration,” says 26-year-old Polo Rodriguez, a fellow Xcaret rower who made the crossing in just eight hours and completed the training sessions along with Beti. “She has an amazing energy, she just never gets tired! She’s so determined, it’s truly amazing,” he adds. Curious as to why these rowers have sacrificed so much time and effort by choice to be part of this event, I ask about their motivations to participate and find the response is intriguingly multi-faceted. For Polo, it’s the emotions he experienced witnessing the arrival of the rowers last year – the canoers are required to return from Cozumel to Xcaret Park the day after the initial crossing to complete the journey – which initially sparked his interest, but as the training went on, it became more about proving something to himself and connecting with his ancestral roots, he concedes. “I feel a sense of accomplishment after completing this, you know? Both the training in the lead-up and the actual event were extremely difficult – so the fact that I persevered and did what I set out to do is a real achievement on a personal level. This experience has taught me a lot about how far I can push myself and it’s something that will stay with me forever. “I’m also very connected to this land, and my Mexican heritage, so that was a big factor also – it’s a very special feeling, almost spiritual, when you think about the fact that your ancestors, the initial keepers of this land, did this very same thing centuries ago and we are doing it now and keeping that culture alive through this Travesía." For Beti, choosing to participate in her second Travesía was also a very personal choice, she explains, and her endurance throughout the taxing training sessions and the eventual crossing also came from both a spiritual and personal place. “I really wanted to do this. I actually live in Veracruz, but I moved here for the six months, just in order to be eligible to register and train. I did that, because – it was a very spiritual event for me, because this is my land,” she explains. “But this trip is also about offering up my life for many reasons, to the universe, the energies of life and nature that are all around us, that we can’t control. Last year my sister was diagnosed with cancer – and that makes you think a lot about life and the absolute fragility of it all and what you have to give, how much time you have left to achieve what you want to do. Life is not to be wasted,” she adds. I’m taken aback by her courage at her age and I tell her she’s an inspiration, but she modestly tells me she doesn’t understand why that is, much to my surprise – she just responds in kind. And to that, I can certainly relate. This article was originally commissioned by Maya Luxe Magazine. An online lifestyle magazine created to complement the already established luxury villa rental experts – Maya Luxe – blending sophistication and exploration with the grassroots of local communities in the Riviera Maya, Mexico.